This flat roof is a tower-based structure with 10 lifting towers with motor hoists. It is remarkably easy to build. 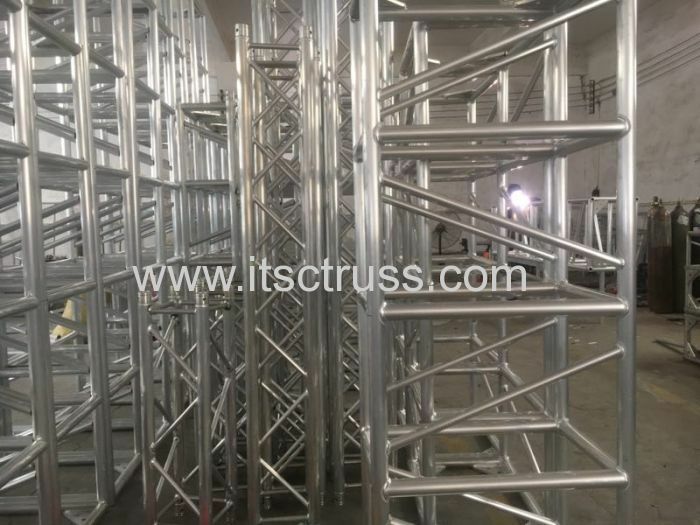 The whole truss rigging solution is mainly based on standard aluminum trussing, and the roof is available in 4 different sizes to offer a variety of structure options. 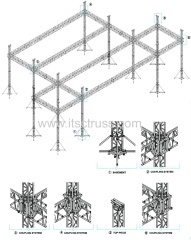 This system is regarded as a based-level system, which is available to expanded to other roof systems. 2. Perfect options for big events.